We specialise in all insurance work, windscreen replacements, private work & more. When an accident happens, you can trust our owner-operated company to ensure that repairing your car is a smooth and effortless process for you. Your car will be in the safe hands of licensed tradespeople providing you with quality workmanship. 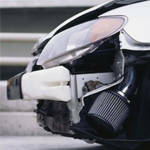 We will repair your vehicle to the manufacturer's standards.